QUESTION #2: In general, how often do you communicate with parents of the children on your caseload either in writing, by phone or in person? Only check one. 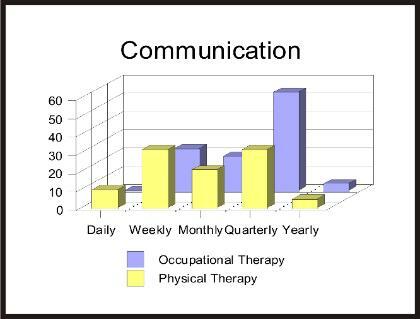 To communicate more often with parents or school staff, check out our School Based Occupational Therapy Forms, Physical Therapy Forms or My School Journal.